The Green lndustries of Colorado is an alliance of seven trade associations representing all facets of the horticulture and landscape industries. GreenCO members are committed to water conservation and industry-wide best management practices as a way of doing business. 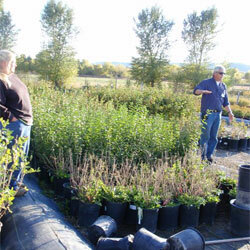 We provide expert advice on how to select and properly care for plants and landscapes. Colorado's green industry contributes more than $2 billion to Colorado's economy and provides nearly 40,000 jobs. Read our economic impact study.